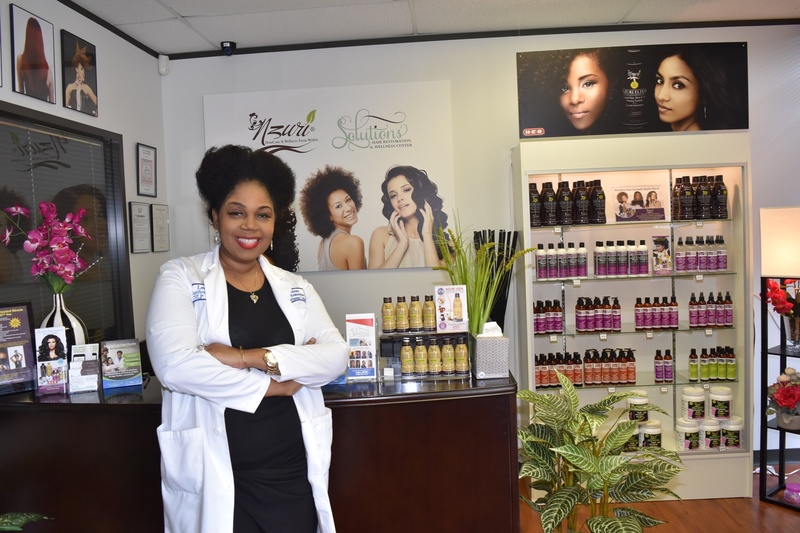 Nzuri Hair Vitamin Store – How We Got Started! My husband Tessy and I started our first Nutrition store in 1993. It was called Naturalife Nutrition. We were extremely excited about nutrition and all of the people we were helping. Little did I know that just 2 years later I would be diagnosed with sarcoidoses, an auto-immune dis-ease that is a cousin to Lupus. In a desperate attempt to feel normal again, I trusted my doctors and began a long term course of steroids and other medications. They all resulted in significant weight gain, low energy not to mention hair loss from constant shedding. That was depressing to say the least. I went to work for Corporate America and our Nutrition business sort of faded into the background. As grace would have it, I was introduced to a new level of nutritional products that contained super fruits such as the Acai Berry ad Goji Berries. As I transitioned more from traditional medicine to supplements I began to feel better and lose the weight. I mean much better. At one point I tipped the scales to 250 pounds thanks to prednisone steroids! I also began sharing my wellness products with more people. They too began to get better results. One thing that was constant among many of my earlier customers was that they all had experienced some form of hair loss or slow hair growth as a result of traditional medicine due to stress and other factors. That led us to really take a closer look at the value of nutritional supplements as it related to the total body and hair and skin. In Mid 2003 almost 10 years after we first opened our small nutrition store in that office building in Houston Texas we were once again getting into nutrition heavier and in 2005 we got very interested about the benefits of super fruits and began marketing and sharing them heavily. I wanted everyone who was sick, sickly, depressed, overweight, stressed out or just tired to learn about the benefits of proper supplements. I figured that if people supplement their income, why don’t they supplement their health? Our customers loved it and so did we. Not only were they feeling great, they were looking amazing and were having great success with healthier and longer hair. The problem was as it related to growing stronger and longer hair; it took 3 or 4 different products to achieve one result. In 2009, we got with our lab technicians and scientist and developed an all in 1 solution to healthy hair and that was the now best selling Nzuri Elixir Liquid Hair Vitamins. They Nzuri hair vitamins work extremely well with the NzuriVida 10 in 1 stress and energy Tonic. Studies suggest that stress is one of the top leading causes of hair loss. We’ve since also added highly effective hair vitamins in capsule the Kra-z hair gro supplements and the Haircules™ Hair Vitamins (Like Hercules the strength is in the hair!) for those with hair fall concerns. Over the years, I became both obsessed as well as impressed with how hair grows and how it is lost. This led me to the study of Trichology. I fully understand the relationship with the hair and scalp. I am now a certified Trichologist “Hair Loss Dr.” We are hair and scalp specialists who diagnose diseases of the scalp, the causes of hair fall, hair breakage, hair thinning, miniaturization of hairs and treat according to cause. Nzuri is a family owned business based in Stafford, Texas, the suburbs of Houston. I began this business along with my husband Tessy of 21 years and our 6 children who are all busy filling bottles, labeling, social media and even keeping the warehouse clean! My husband is the king of logistics and ensures we get the packages out in a timely and orderly manner. 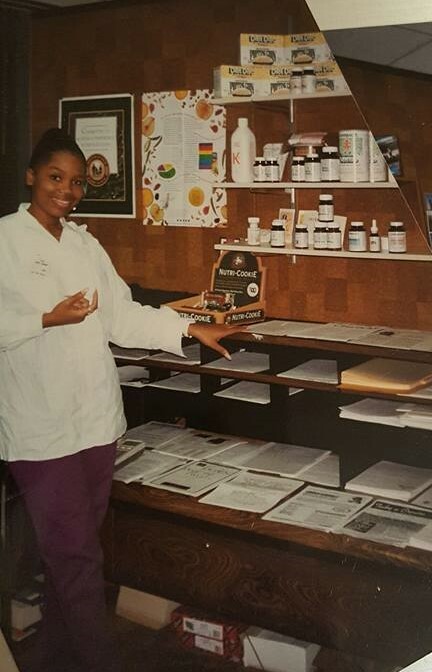 Now 23 years later we are proud to say that Nzuri Hair care and Wellness (Formerly Naturalife Nutrition) is doing well and providing the highest quality, best performing supplements available anywhere. We are blessed to have some of the world’s best Scientist, chemists and lab technicians on our team to ensure our formulas are extremely effective. Our motto is if is says Nzuri which means “very good” in Swahili, it has to perform Nzuri in your body! We do an annual trade show in Houston TX. The Nzuri Natural Hair Health and Beauty Festival, that is designed to educate women on how to properly care for themselves from hair to health! We are proud to say that over 20,000 women have attended our educational workshops over the years. We are currently available in our online store, www.hairvitaminstore.com, we ship to over 25 countries and are in all HEB supermarkets in the beauty department across the state of Texas as well as Amazon and select retailers.